Bleach is a series where fans either love it or loathe it "“ although usually not for the right reasons. Regardless, it doesn't stop game makers from doing what they do best and adapting one of the most popular manga and anime series in the most recent times into an action-packed game. Developed by Sony Japan and published by NIS America in the West, it's a far departure from the PSP Heat the Soul series and it's certainly still a little rough around the edges. Long story short, we still don't know the true name of this Zanpakutou. First up is the game's story campaign, which is criminally short for the arc that it's based on. The Hueco Mundo arc puts the series' main protagonist Kurosaki Ichigo, substitute Shinigami, and his friends in a daring escapade into enemy territory in order to rescue their friend Inoue Orihime from the clutches of Aizen, climaxing at the very end of the Deicide chapters. Fans of the series will know that despite some filler in the anime, a lot of important events happened during this arc. A lot of said important events are also missing from the game's story campaign. The story is separated into a number of chapters, each starting the same way, with a quick narrated synopsis about what's happening before dropping players into the thick of the action. For a series that's heavily focused on its characters "“ this being said relatively loosely "“ the story campaign is really quite bare-bones. Synopsis, gameplay, cutscene, rinse and repeat. It feels quite disjointed and unless you're a fan that has followed the series since its inception, you probably won't have any idea what's going on. Key moments in the arc like the earlier battles with the Fallen Espada and Nel's transformation aren't covered, neither are the Vaizard's assistance with the battle in the faux Karakura Town. But that's enough about the story campaign's shortcomings. While it is disappointing in that so much more could have been done with the story and yet wasn't, one can also look at it as cutting out the fat "“ albeit really essential fat. Regardless, what lies beyond the superficial narrative is a surprisingly addicting hack n' slash experience and a rather engaging character level progression system. Each character, there being 21, have their own unique move sets that are quite true to their personas. Ichigo himself has three forms: his Bankai, Hollowfied and Mugetsu form. It's a relatively standard set-up with slash, spiritual and heavy attacks. While it's easy enough to label the game a shallow hack n' slasher, it couldn't be further from the truth. There is no lag time between using different attack types, making combinations a really simple endeavour. 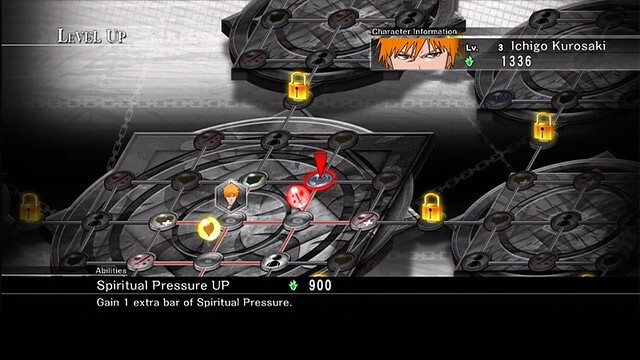 If you're smart enough, you can even keep bosses stunned long enough to juggle them in the air with a continuous stream of attacks before defeating them with an epic "Ignition" move.Special attacks require Reiatsu, or Spiritual Pressure, which comes in the form a nice blue gauge under the health bar. Using Spiritual attacks will gradually deplete the gauge while activating the Ignition gauge will instantly restore it. The Ignition gauge gives a huge boost to combat efficiency, increasing the range of your strikes, the power of your attacks and the amount of damage you can absorb without being knocked back. It also gives you access to your Ignition attacks which are so powerful that they can easily clear out entire mobs in a single hit, although it's recommended that you save them for the more powerful enemies like the Menos Grande and especially boss type enemies. Speaking of which, each character has their own easily identifiable special and Ignition attack that fans will surely recall from the series. 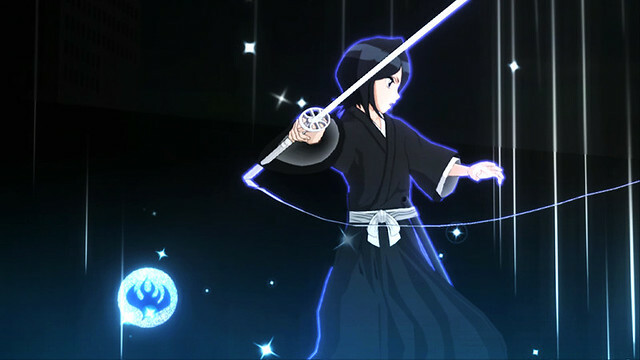 Ichigo employs his powerful Getsuga Tenshou while Rukia's Hakuren deals devastating freeze damage, even Yoruichi's Shunko is right there when you need it. Playing the game on Normal is a breeze; however, beating missions will unlock the Hard and Very Hard modes, which offer a much higher challenge to veteran gamers. Simply running in head first and sword swinging is a surefire way to die. Strategy needs to be employed, blocking and dodging become just as essential as attacking. Even reading your opponent's movements and predicting what they might do next is an important aspect of the game's combat system. In addition to the main story campaign, there are also a number of other modes like Mission Mode and Soul Attack where players are challenged to a variety of objectives. From time attack missions, Defeat-100-Enemies missions, boss challenges and whatnot, there's plenty to tackle even if the main story campaign is so short. Mission Mode is easily the best place to grind for Spirit Points to use in the Level Up system that accompanies the combat. Complimenting the core gameplay is a rather deep level progression system. It's not unlike skill trees seen in RPG games. Players can purchase new stat boosts with Spirit Points collected by defeating enemies or breaking elements in the world. Get a 100 hit combo going and you'll obtain a multiplier, doubling the amount of points you earn. Each character has their own skill board of sorts and only adjacent skills can be acquired. Things like Defence, Offence, Spiritual Pressure, Health and Ally Buffs can be upgraded here. Even so, grinding with just one character won't get you very far as access to other boards are locked until the respective characters reach the required level. Essentially, you'll need to try everyone out before you're able to max out a single character. Levelling up any one character is quite important, especially for those attempting to get certain Trophies. Leaving characters at their base stats makes it impossibly difficult to clear missions on Very Hard mode where enemies deal massive damage and bosses are much smarter in the way they fight. On top of that, certain missions pits you against not one, not even two, but sometimes even three boss characters at once. So while the story is relatively easy to beat, the real challenge lies in the different Missions. Not to mention, each Mission is graded based on player performance and achieving an S Rank is a challenge in and of itself. Yes, there is a Trophy for beating everything with an S Rank.As for the game's presentation, it's a nicely cel-shaded affair. It's certainly not the best, nor is it anywhere near the same height as CyberConnect2's Naruto Shippuden: Ultimate Ninja Storm games, which is in a whole other league in its own right. Stages are relatively linear and the environment isn't spectacular. The character's are nicely rendered and the animations do well to present each individual character. Players also have the choice to opt for either the English dub or the original Japanese audio track. Either way, there will be plenty of yelling and battle cries going on. 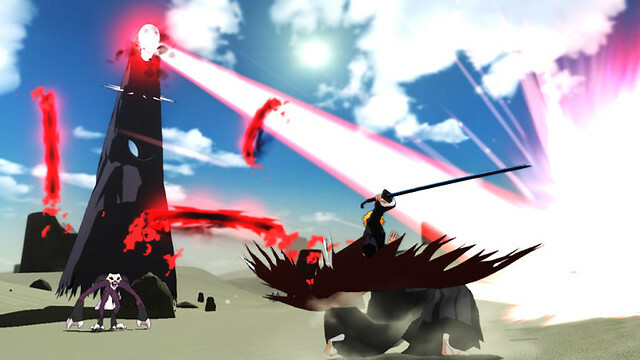 Story missions usually include cutscenes for key events like the battle with Grimmjow and the climax with Aizen. However, like the entire story campaign, it feels very barebones. They aren't very engaging nor do they tie the story together. In fact, cutscenes seem to be there to simply service the fans. Another issue that disrupts the flow of the action and one that I find to be the most annoying issue with the game are the moments where the action is interrupted just to show a barrier propping up, usually indicating some kind of mini-boss event; regardless, it would've been a much better experience had it been a seamless transition. What's neat is that the game's camera system automatically adjusts itself for more dynamic angles during combos and especially when special attacks are used. Ignitions will activate mini-cutscenes for quite an epic cinematic as you lay the smackdown on those that stand in your way. However, with that said the camera can also get in the way, sticking to corners and invisible walls, or adjusting itself away from the action, leaving you open to attacks you can't see coming. Despite all of its faults "“ and what game doesn't have them? Bleach: Soul ResurrecciÃ³n is still an addicting joy ride through the Hueco Mundo arc of the popular manga and anime series. While the gameplay tends to fringe on the border of repetitiveness and the story criminally short, there is still quite a bit to check out with the other game modes. Still, it really would've been nice to see a properly fleshed out narrative especially since the source material is already all there. Regardless, the combat is addicting and the level progression surprisingly deep. 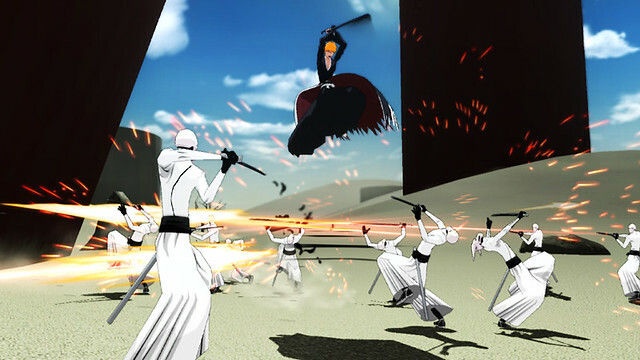 Newcomers to the series are more than likely to be left confused in the dust, but fans will surely enjoy the game more than anyone else and, really, Bleach: Soul ResurrecciÃ³n is a game made for the fans. An extensive level progression system. Plenty of Missions to tackle. Camera occasionally refuses to work.